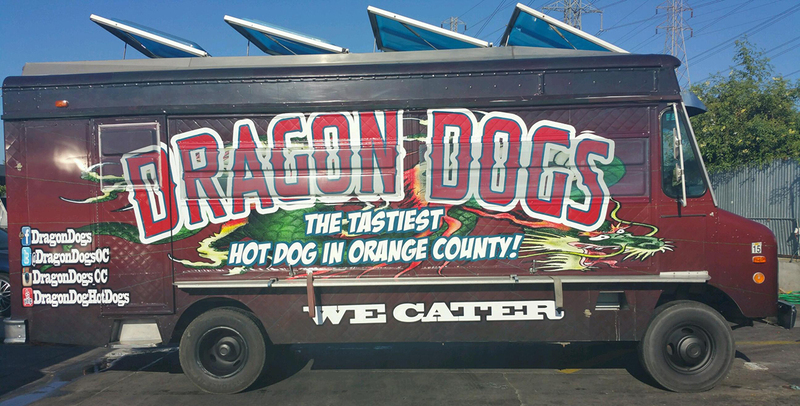 Dragon Dogs | The Best Hot Dog in Orange County! The Best Hot Dog In Orange County! Dragon Dogs hot dogs are the most delicious and the best hot dog in Orange County. We are home to Orange County’s original bacon-wrapped Sabrett hot dog. You won’t find a more satisfying wiener behind the Orange Curtain, we guarantee! We invite you to join us at your nearest location. Enjoy! When it’s baseball season you know what that means? It’s Dragon Dogs time! Join us at every Angels home game and enjoy a tasty hot dog before or after the game. We are your #1 tailgate party destination.